Mesa Computer Repair Service has been providing the best mobile computer repair in Mesa, AZ and the greater Phoenix Metro Area since 1999. "Mobile computer repair" means we come to you, to your home or business, to resolve all your computer problems. We repair laptops, desktops, PCs, and Apple computers. One of our team will meet you at your home or office, often the same day, to take care of all your repair needs. Why not use the #1 rated computer company for computer repair in Mesa, AZ? "William was able to help me fast, so I was able to get back to working :) Thank you so much!" "Technician was very helpful and resolved our computer issue. Thanks David for the great service." "Not knowing very much about computers Rod walked me through a few simple steps and was very patient and understanding. Very satisfied customer." 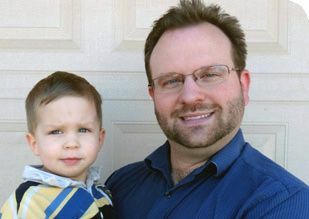 "Matt is the name of the computer technician who helped my son with his computer. Matt was exceptional. He got my sons computer running and answered all of my sons questions. I would recommend your company to everyone." "Chris was fantastic, he helped with all I needed. He deserves a hefty raise!" Who is Mesa Computer Repair Service? Mesa Computer Repair Service is owned by Matt Karls, an Electrical Engineer and a Computer Systems Engineer. We are a team of computer professionals focused on service and quality, all our work is guaranteed. If you have any computer, technology or IT problem in Mesa, AZ we can fix it. We have been performing computer repair in Mesa full time since 1999. Feel free to give us a call at (480) 240-2950 or send us a text message at (602) 633-4584. We have serviced Mesa and the entire Phoenix metro area for over a decade. Recently we have decided to focus on the East Valley to better serve our clients. Our primary on-site service area includes Mesa and most of the East Valley of the Phoenix metropolitan area. 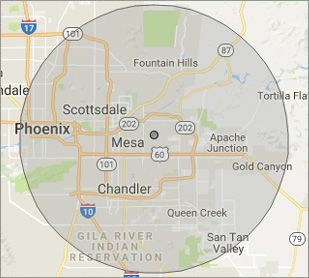 We provide on-site computer repair to Chandler, Gilbert, Queen Creek, San Tan, Mesa, San Tan Valley, Chandler Heights, Gold Canyon, Apache Junction, Higley, Sun Lakes and Johnson Ranch. Our mission is to fully resolve your computer problems quickly and affordably. If you want a Computer Engineer that can fix all of your computer problems instead of a computer tech, a computer geek, a technician or a computer guy that can only fix some of your problems; call us at (480) 240-2950. "Matt got everything up and running in no time. Thank You!" "These guys are by far the best repair company that I have dealed with, I had the pleasure of Chris coming to me." "Anyone looking for a computer repair service should call this company. Opps, my previous review should have been a 5 star by far!!!" "I now have a computer guy. I hired Matt to clean a virus, which he did perfectly. Matt is a super smart computer genius. Every question I had he knew the answer to."